A new exhibition that examines the end of the Civil War and the assassination of Abraham Lincoln opens Feb. 7 at the Indiana State Museum in Indianapolis, Indiana. The exhibition, titled So Costly a Sacrifice: Lincoln and Loss, explores Victorian America’s approach to human mortality. 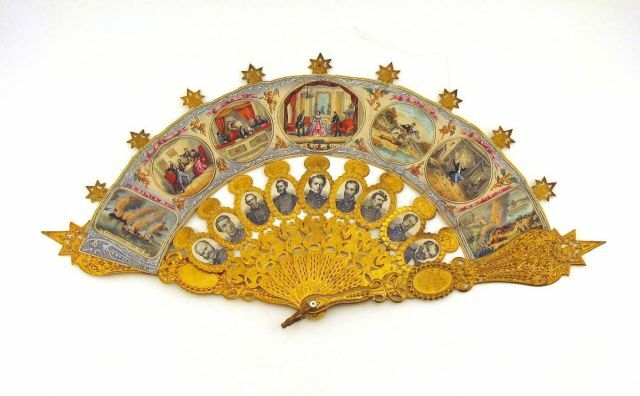 A new exhibit at the Indiana State Museum features Victorian-era objects, such as this memorial fan. In the mid-1800s, death was a common aspect of human existence and, as the museum’s website states, “grieving practices and mourning rituals were rigid and complex.” At the time, nearly 30 percent of children died before the age of six. Once a child reached adolescence, though, it was not surprising for the individual to live at least into his or her 50s. Childbirth remained a dangerous affair for women, however, and the Civil War brought with it devastating loss. Approximately 620,000 individuals died in the Civil War, and the Battle of Antietam—at which more than 20,000 individuals were killed, wounded or declared missing—was, at the time, the bloodiest single-day battle in American history. This staggering loss of life, alongside Lincoln’s death, changed the way America mourned. Abraham Lincoln was the first United States president to be assassinated, and his death shocked a nation already stricken with grief. 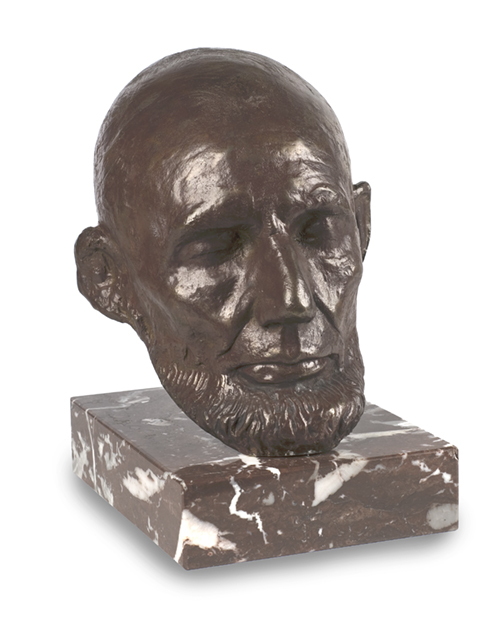 As a result, his legacy took on several messianic titles, including “Father Abraham” and “The Savior of the Union.” Several artifacts dedicated to Lincoln’s memory appear in the exhibition, including pieces of his funeral bier. Also appearing in the exhibition is the last portrait of Lincoln painted from life. In February 1865, just two months before Abraham Lincoln died, sculptor Clark Mills made a life mask of the president’s face. Overall, the 3,500-square-foot exhibition features more than 100 artifacts, including objects from the museum’s core collection and the Lincoln Financial Foundation Collection. Artifacts on display include a hair wreath, a child’s coffin, and a Confederate artillery shell that hit Colonel Eli Lilly’s troops near Chattanooga. These objects will help visitors learn how Americans processed loss, mortality, and memory in the 1800s. Furthermore, Lincoln and Loss will help visitors gain insight as to how individuals approach mourning and memorializing today. 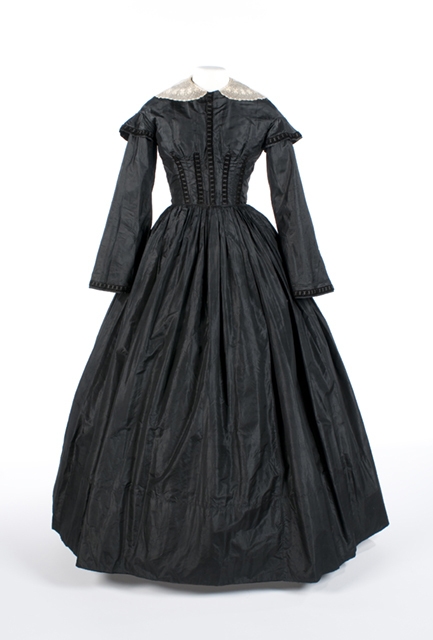 A Victorian mourning dress is just one of the more than 100 artifacts featured in the exhibition. 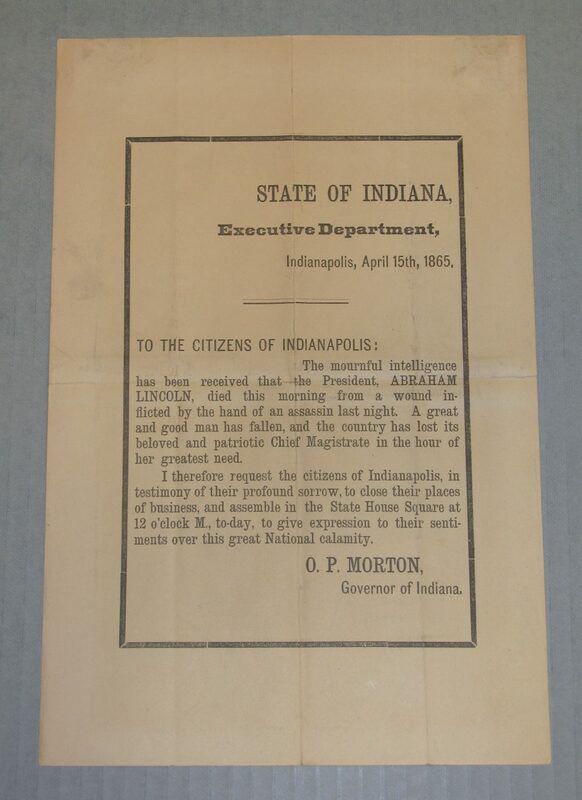 A proclamation from Indiana Governor Oliver P. Morton to the people of Indianapolis, announcing the assassination of Abraham Lincoln. So Costly a Sacrifice: Lincoln and Loss is presented by the Dr. Dane & Mary Louise Miller Foundation, with support from Barnes & Thornburg LLP. 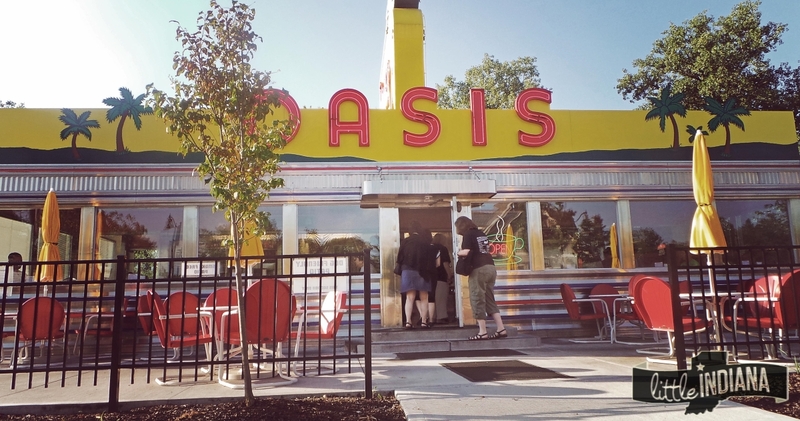 The exhibition opens Feb. 7 at the Indiana State Museum and runs through July 5. At the time of this writing, the museum is open from 10 a.m. to 5 p.m. Monday through Saturday and 11 a.m. to 5 p.m. on Sunday. As of now, admission is $13 for adults, $12 for seniors and $8.50 for children. Admission for children two years of age or younger is free, and on the first Tuesday of every month, admission to the museum is half-price. For more information, or to order tickets, please call 317-232-1637, or visit indianamuseum.org. 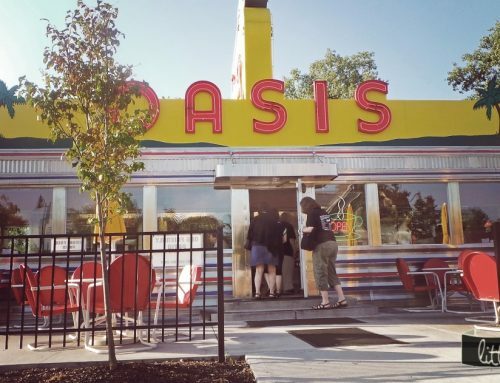 Don’t just live in the city–explore it. THIS is Little Indiana.